Take the Lids Off Kids… and Watch ’em Shine! As I walk in and out of classrooms this week (the first week for our students with their 2015-16 teacher), I love seeing the “about me” activities. There is never an easier time to strike up conversations with kids than when they are sharing something about their culture, family, strengths, and interests. The harder part is getting a word in with them and moving around to talk to more kids as so many love to share when this is the focus. Last week we had Marika van Dommelen, from the Rick Hansen Foundation, come and speak to our kids about accessibility and inclusion. As a woman with spina bifida, she shared how, growing up, many doors were closed for her as she was told that she would never swim, never drive, never have kids, and never complete a “regular” education. Her family fought hard to keep these doors open for her as she said they focused on all that she COULD DO instead of what she could not do. Years later, she has proven everyone wrong and opened all those doors that were once closed by adults close to her as a child. It is our job as teachers to not only work to help areas of student struggle but also work to bring out the gifts and strengths that lie within. Kids flourish when they are given the chance to work in an area of strength. They rise up when asked to lead. Yet, when a child is misbehaving, our first reaction is often to close the doors… to put a lid on the student. We take away “privileges” that are possible strengths like PE, play time at recess, extra-curricular activities, and helping out in other classes. Of course, there must be (logical) consequences for misbehaviours but maybe we aren’t looking at the bigger picture or maybe we are looking through the wrong lens. What if there were consequences for behaviours and ALSO the opportunity for students to lead in areas of strength? What if a child’s identity was able to positively shift based on the opportunity to work in an area of strength? I have seen this over and over again – when kids are placed in leadership roles in a school, they always rise up. Students with “behaviour problems” become our tech crew, our big buddies, our gardeners, and our own “Mr. Muscles’ Moving Company”. Their identity as a student changes. They no longer see themselves as a “problem” but instead see themselves as worthy and even a positive leader. If a child is struggling, don’t close the doors and take their strengths away. Schedule time in each day/week for students to be able to use their strengths in such a way that their behaviour has no impact on whether or not they get to do this important leadership work. As educators and parents, it IS our job to bring out what is within… so the question is: what are we bringing out? This year, let’s work to bring out the strengths in our students. 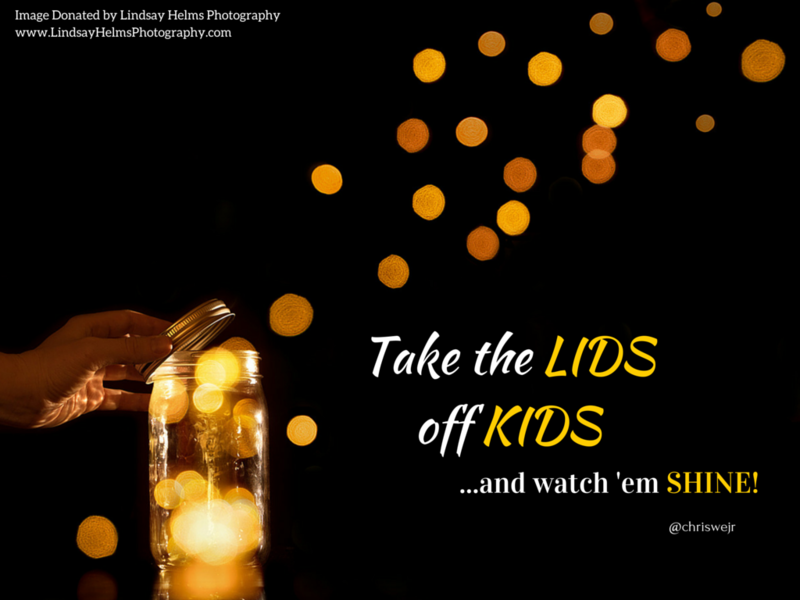 Take the lids off kids… and watch em shine! I sometimes struggle with the volume of posts that give lists of “5 ways…” or “10 reasons…” but I have recently been asked a few times how schools could get started using a strength-based model with students. This list is by no means the end but more about the start; these are thoughts that have worked in schools I have had the privilege of working in; however, the context of your school is different so the ideas will vary depending on the school. If you have further ideas or examples, I would love to read them (and steal them) so please leave them in the comments below. Shifting the lens in schools to a focus on strengths rather than deficits… a focus on CAN rather than cannot… has been one of the most significant changes for me as an educator, formal leader and parent. Where do we start? What can we do this month? This year? (there are links embedded in the list if you would like further detail on some of the stories and ideas). Shift from MY students to OUR students. A previous teacher or a teacher in a different subject area can have knowledge of a child’s strengths and a positive relationship with the child. Do we embrace this relationship or do we shut it out? If we shift our focus from being classroom teachers or subject teachers to school teachers, can we better tap into the strengths of other adults in our building? Relationships are not zero-sum in that if one person has a strong relationship, it does not mean that others cannot as well. Students need at least 2-3 strong, positive relationships with adults in the building. These strong relationships often come with the knowledge of a student’s strengths… embrace these. Make the first contact about the strengths. Make that first contact a positive one. When we start the year, inquire into the strengths of our students – inside and outside of school and tap into these throughout the year. Run a class or school Identity Day. Make the first contact with parents a positive one. It doesn’t have to be about something the student has done but more about sharing that we value him/her and we know who they are. Schedule in time for a child to use his/her strengths in school. If a child has a strength in the arts, technology, or with helping younger students (for example), provide time in the day or week for this to happen. A student who struggles will often flourish when given a purpose or an opportunity for leadership beyond the classroom. The important thing is to not use this as a punishment or reward. If it is important to help change the story, schedule it in… but do not use a child’s strength as a carrot/stick to have them do the things we want them to do. If we use it as a reward, we may get some short term compliance but the student will soon figure out that his/her strength is not valued. Having said this, I do know that students will try to get out of doing the things they do not want to do and things in which they are not successful (adults do this too). This is why it is scheduled in to the day/week/month so the students have to continue to work on areas of struggle AND they continue to get opportunities to use their strengths in a way that helps the school community. Teach parts of the curriculum through the strengths/interests. Start with one lesson or one unit and ask how we can include the strengths and interests of our students. It doesn’t have to be a big shift like Genius Hour but can be smaller shifts that include the curriculum like guided inquiry, writing assignments, reading reflections, and different ways of demonstrating student learning. 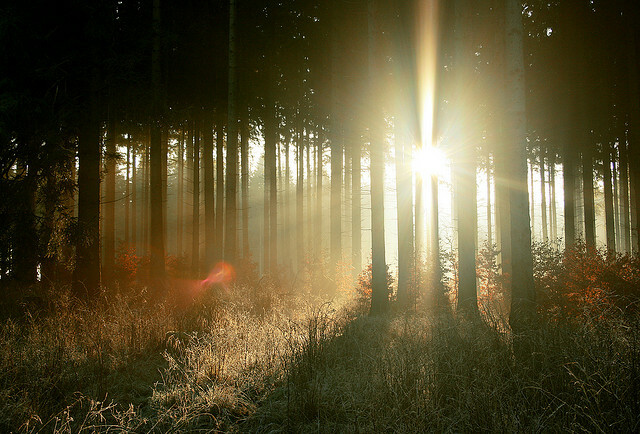 In meetings, start with the bright spots. If we are having a meeting about a child, start with the positives and see how these can be built upon. We need to acknowledge the struggles and look to how we can tap into the strengths to build confidence and change the story. As principals, we can model this in staff meetings as we start each meeting/topic on sharing the bright spots. Start the conversation on how we honour students in schools. Are there certain strengths we honour over others? How do we honour the strengths of students that fall beyond the traditional awards and honour roll? Are traditional awards ceremonies the best we can do? Reflect on our assessment practices. In our assessments, do we build on what students CAN do or do we focus more on what they cannot do? Do our assessment practices build confidence or strip it away? I know it is not a black/white practice as we need to support the challenges too but we need to reflect on the balance of strengths/deficits in our assessment practices. Watch those labels. Do the designations of our students define them? I realize there is a need for designations but I wonder if sometimes these work to put lids on kids. A designation should come with a plan on how to embrace the strengths of the child and help us to support the deficits; it should not BE the story for our students. Start with strengths of staff and the school community. Are we embracing the strengths of the adults in the building? Do we tap into the strengths of parents and families in the school community? Once we know a child’s strength, how can we use the aligned strengths in our school community to help? Share the stories. Share the stories of strength in your classroom and schools. When you look for the bright spots and you share these beyond the classroom walls, you shift the culture of the school. We find what we are looking for. When we start with strengths, we change the lens we look through and see the strengths in our students more than the deficits. When we change this lens, we change the stories of our students at school. For many, this change in story can be life changing. In BC, we have many schools that are already making this shift and we have a golden opportunity to create more space for us to bring in the strengths. This list is just a start. If you have other ideas, please write them in the section below. Hopefully, I can tap into YOUR strengths which will help me and others through the stories and the comments you share. Click here to access a FORCE society “In The Know” series webinar on the topic.